MOCAP, along with over 1,800 leading manufacturers and suppliers, will be at the 2012 AHR Expo in Chicago to showcase our latest products. 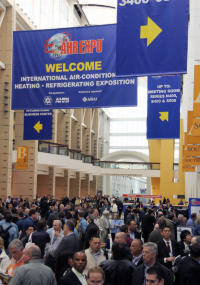 More than 50,000 HVACR professionals will be part participating in the world's largest HVACR event. Visit us at Booth # 5897 to see our full line of plastic caps and plugs including our new line of threaded caps and plugs.